Jack Carnegie has developed a head for numbers – a true savant who was just an average teenager a day before. Jack Deacon builds things, from self-propelled drones to goggles that can see through walls. Jack Van Slyke awakes with an ability to speak a half dozen languages.Jack Gordon discovers he is a master of the martial arts, just when he needs it most. All over the country, young men are finding that they have special skills, areas of expertise that appeared out of nowhere. They’re confused. Baffled. Maybe even dangerous. And they’re all named Jack. After experiencing adventures on their own, the Jacks will come together in the deserts of Arizona. There, they will set out on the quest to find out what has happened, becoming a multi-talented task force with not a single clue why. But answers are coming – chilling revelations about their own minds and about new terrors that imperil the world. 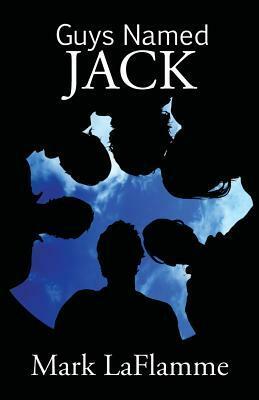 Together the Jacks will have to make a decision: drift apart and return to being careless teenagers? Or band together and fight a rising evil that threatens not just the Jacks, but the world.